How Can I Find Quality Health care? They are uninsured because their employer doesn’t offer health benefits. Maybe they are unemployed or they simply can’t afford costly premiums for the health insurance their employer offers. Some have insurance but it doesn’t cover the full range of prevention, early detection, and treatment options that should be available to everyone. Or maybe they are “uninsurable” because of existing health conditions. Research, however, shows that Americans want and value quality health care. And that's a good thing. Because when you make health care choices that offer the best possible care, you are most likely to get the best possible results i.e. you live longer and healthier. So when it comes to making major health care decisions - about health insurance, doctors, hospitals, prescription medicines and where to turn for treatment - how can you tell which choices offer quality health care and which do not? We ask our friends and family, but we also wonder where we can obtain objective information about the quality of care offered by providers, including hospitals, doctors and surgical centers. Illinois is the first state in the nation to guarantee access to affordable health insurance for all uninsured children. The All Kids program offers uninsured children comprehensive health care that includes doctor’s visits, hospital stays, prescription drugs, vision care, dental care, medical devices like eyeglasses and asthma inhalers and mental health and substance abuse treatment. Parents pay monthly premiums for the coverage, but rates for middle-income families are significantly lower than they are in the private market. For more information visit http://www.allkidscovered.com. FamilyCare is a comprehensive health care program for parents and relatives who are caring for children in place of their parents. This program covers doctor’s visits, hospital stays, prescription drugs, vision care, limited dental care, medical devices like eyeglasses and asthma inhalers, and mental health and substance abuse treatment. The FamilyCare Program expanded income levels in January 2006 to make an additional 56,000 parents eligible for health insurance. For more information visit http://www.familycareillinois.com. HBWD provides health benefits for workers with disabilities. Disability advocates have long noted that returning to work is difficult for people with disabilities. Many fear that a return to work means losing state health coverage and private insurance may be difficult or impossible to obtain. The goal of this program is to help people with disabilities return to work with full state health care benefits. HBWD not only encourages enrollees to work, but to increase the number of hours they are currently working. For more information, visit www.hbwdillinois.com. Veterans Care is designed to provide comprehensive, affordable health care to Illinois’ uninsured veterans for those who cannot currently access the Veterans Health Administration’s benefits and who meet specific income requirements. According to a 2004 Harvard study, 11.9 percent of military veterans are uninsured. Veterans Care offers an affordable option for eligible Illinois veterans who are looking for comprehensive coverage and do not have a service connected disability and earn more than the benchmark set by the Federal Government. For more information visit www.illinoisveteranscare.com. This federal government’s Medicare Web site (http://www.medicare.gov/) provides information on public and private programs that provide help with other health care costs that offer programs discounted or free medication. Finding a Doctor or a Clinic For All Your Regular Health Care Needs There are a lot of advantages to establishing a medical home where the health care professionals know you and have information on all your health care needs. It is better to find such a home before you get sick and to use your medical home for all your regular health care needs. Even if you are getting some health care elsewhere, it is a good idea that you share your medical records with your medical home. It is particularly important that you medical home know all the prescription drugs you are taking, so that they can help you avoid bad drug interactions, unnecessary duplications and other problems. Get a doctor. Get checked. What can you do to stay healthy and prevent disease? One of the most important steps you can take is to get into the habit of getting regular checkups where you can get certain screening tests. Top health experts from the U.S. Preventive Services Task Force suggest that when you go for your next checkup, you should talk to your doctor or health care provider about how you can stay healthy no matter what your age. However, many people do not have a doctor. The American Medical Association (AMA) provides a listing of all licensed physicians in the United States. 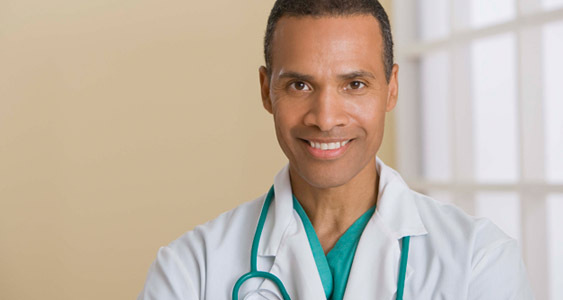 To find a particular physician, the AMA offers DoctorFinder (http://webapps.ama-assn.org/doctorfinder/html/patient.html), which provides comprehensive information on all licensed individual physicians from which you can select a physician or verify the credentials of a known physician. AMA DoctorFinder includes more than 690,000 AMA member and non-member doctors of medicine (MD) and doctors of osteopathy or osteopathic medicine (DO). AMA DoctorFinder does not include other licensed health care professionals, such as dentists, optometrists, chiropractors, nurses or allied health personnel. Many people access quality health care services at community health centers or clinics. These clinics vary in range of services provided and services may vary during the year based on availability of funding. Some clinics provide comprehensive health care. Contact the administrative office listed or the clinics you are interested to verify services available and possible costs before going to the clinic. Also verify location and hours of operation. If the clinic near you does not provide the services you need, ask for the name and address of a clinic that does provide those services. Also, some primary care services that provide non-emergency medical care are available through your local health department. In Illinois, there are 96 local health departments, covering 100 of the state's 102 counties ( Richland and Edward counties are not covered), and serve 99.5 percent of the population. They also work with other community organizations to assure needed services and programs are available. To locate the nearest local health department, click on this link http://www.idph.state.il.us/local/home.htm. Governor believes everyone deserves access to good, affordable health care and no senior or person with a disability should have to worry about how to pay for the high cost of prescription drugs. The state has a variety of prescription drug programs. Some provide direct coverage while others provide consumers with a discount on the drugs they buy. Illinois Cares Rx (http://www.illinoiscaresrx.com/) provides state prescription assistance to seniors and persons with disability with and without Medicare. Illinois Cares Rx provides two prescription drug benefits – Illinois Cares Rx Plus and Illinois Cares Rx Basic. Have a total annual income of no more than $23,225 ($31,264 for couples). If you qualify, Illinois Cares Rx Plus covers almost all prescription drugs. Less than $41,023, if you are filing an application for you, your spouse and one other qualified additional resident or for you and at least two qualified additional residents. If you qualify, Illinois Cares Rx Basic will cover prescription drugs that treat 10 common diseases: Alzheimer’s, arthritis, cancer, diabetes, glaucoma, cardiovascular disease, lung disease and smoking-related illnesses, osteoporosis, Parkinson’s disease, and multiple sclerosis. The Illinois Rx Buying Club is a card that provides members discounts on prescriptions. The card is accepted at 50,000 locations nationwide. There are 2,500 pharmacies in Illinois, customers can go anywhere in the U.S. There is also a mail order service for greater savings on prescription drugs you take every day. The Illinois Rx Buying club is available to uninsured Illinois residents of any age. For more information visit http://www.illinoisrxbuyingclub.com. Partnership for Prescription Assistance (https://www.pparx.org/Intro.php) offers a single point of access to more than 275 public and private patient assistance programs, including more than 150 programs offered by pharmaceutical companies. Together Rx Access (http://www.togetherrxaccess.com/Tx/jsp/home.jsp) is a free savings program that helps eligible participants save approximately 25 percent to 40 percent and sometimes more on more than 275 brand-name prescription drugs and other prescription products, as well as savings on a wide range of generic drugs. This program is for families and individuals without prescription drug coverage.